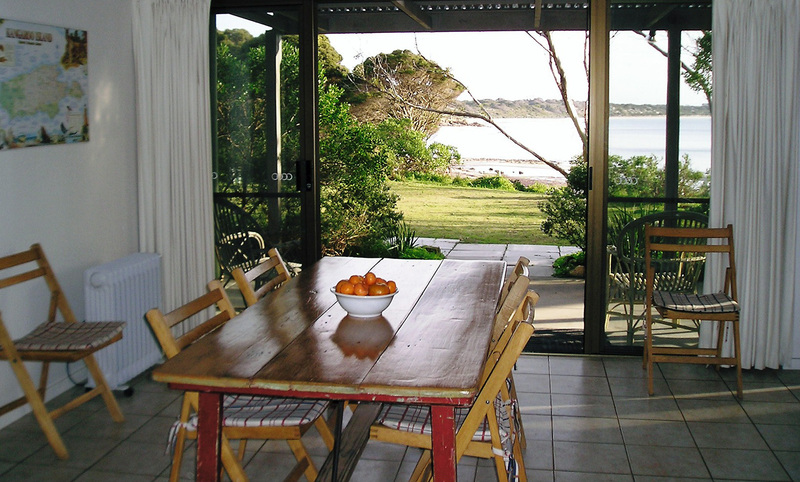 If you are dreaming of escaping from the noise and bustle of everyday life – then let The Beach House welcome you. 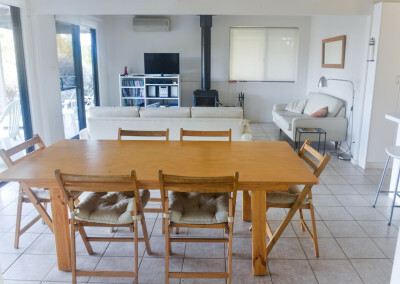 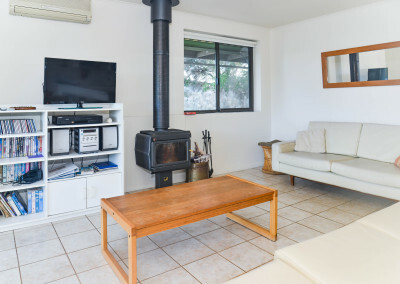 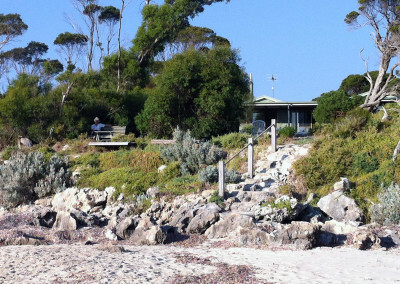 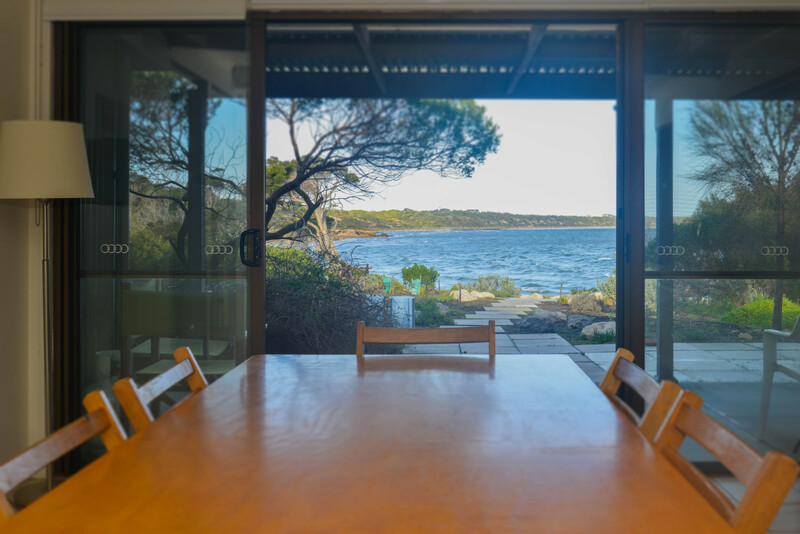 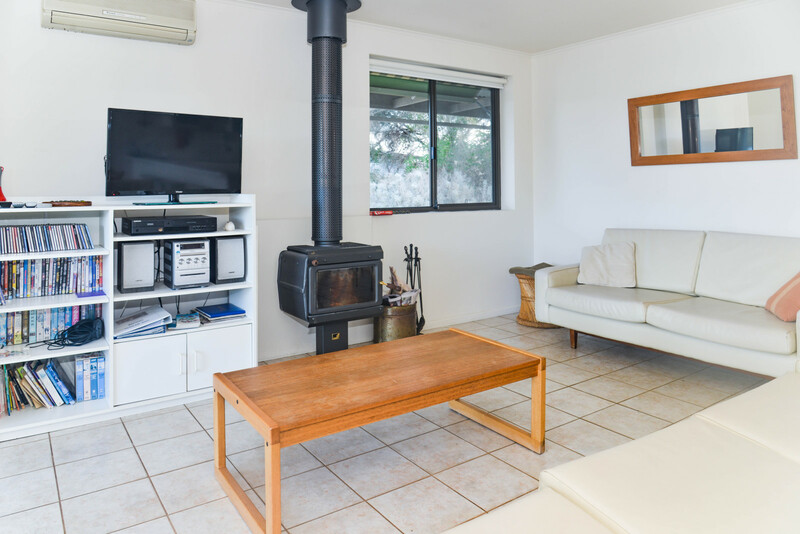 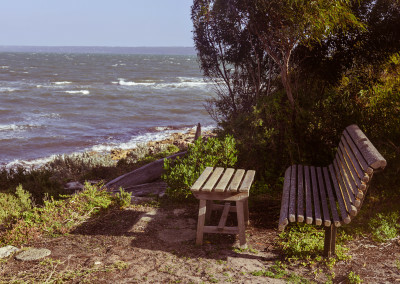 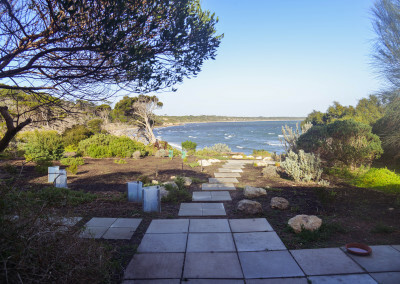 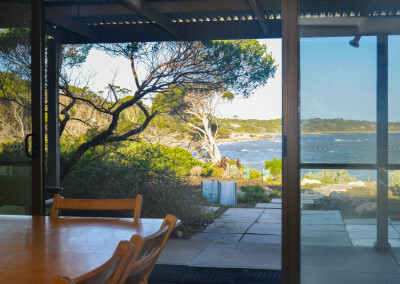 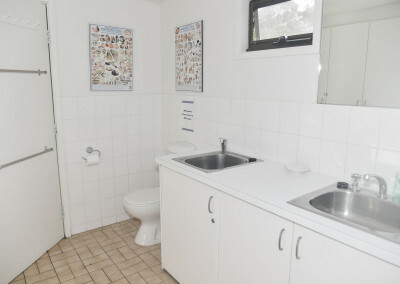 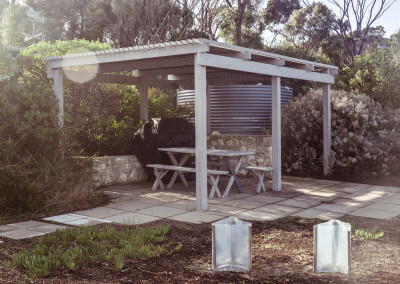 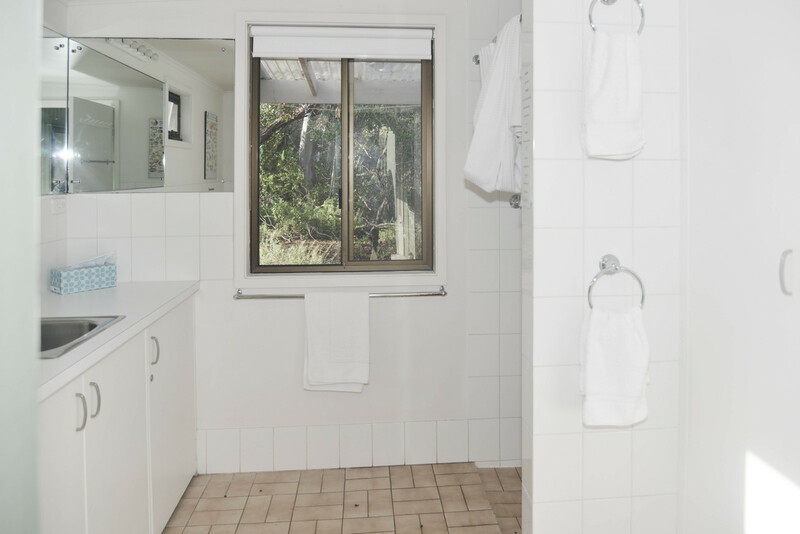 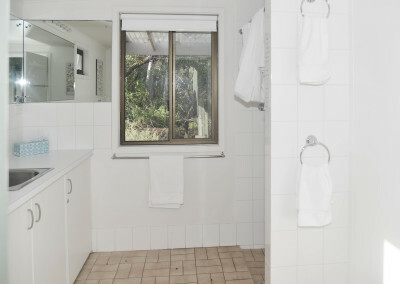 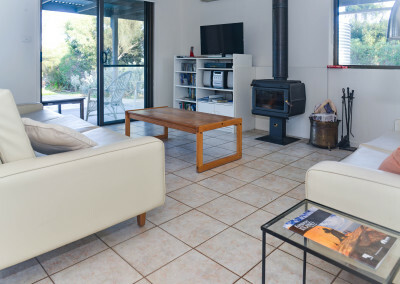 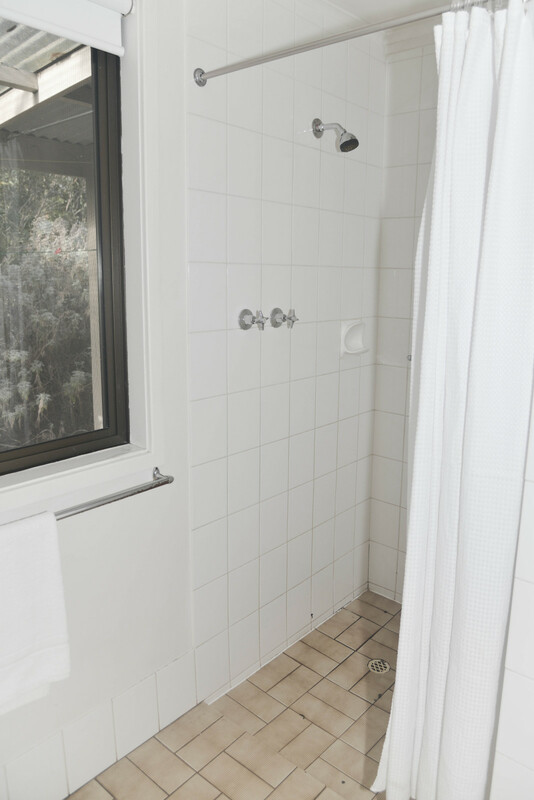 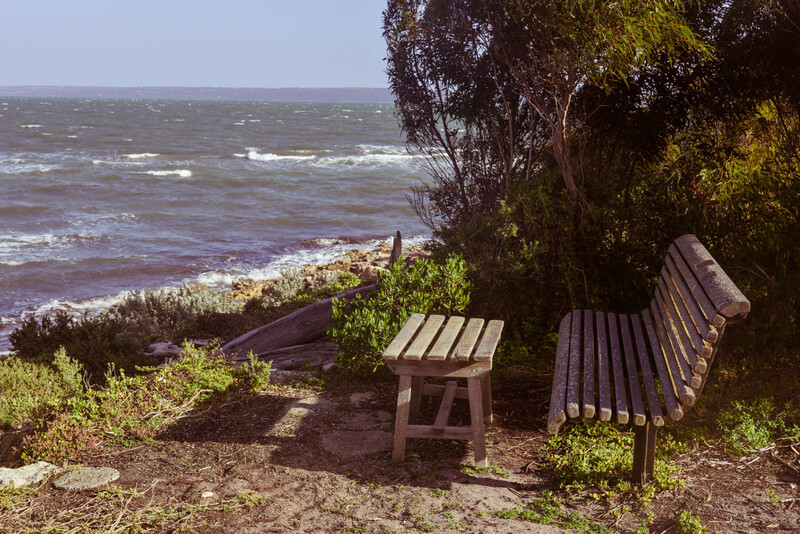 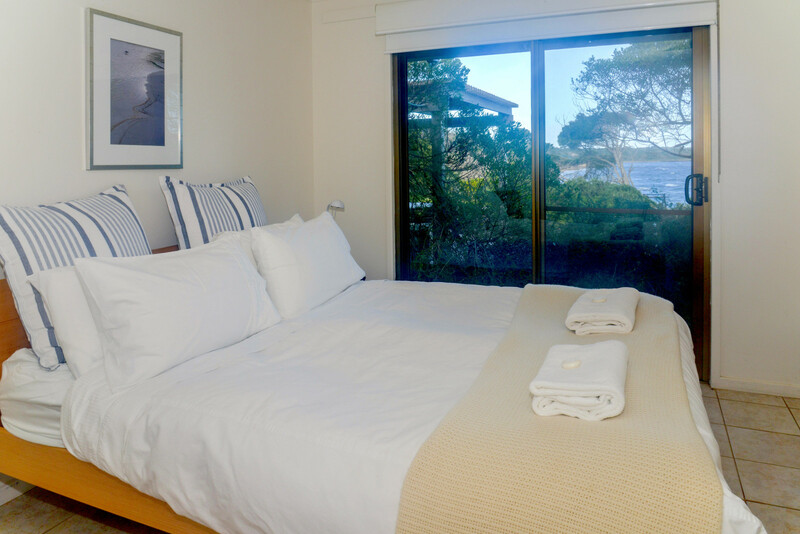 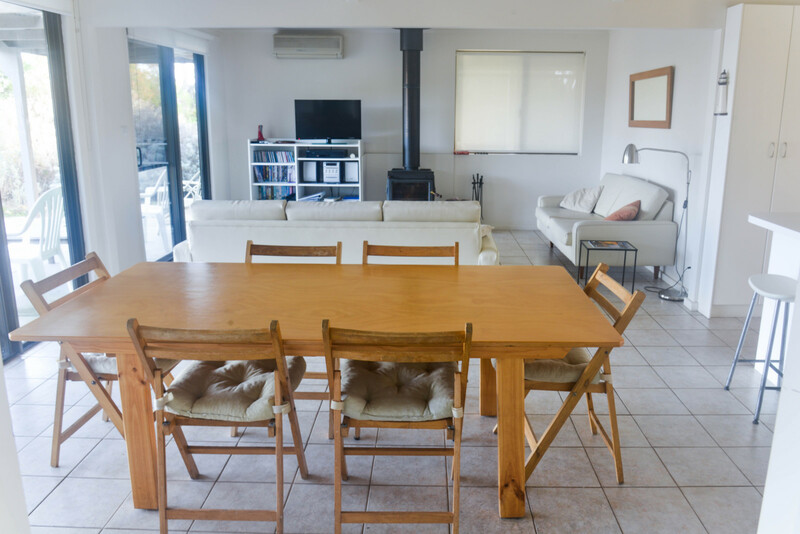 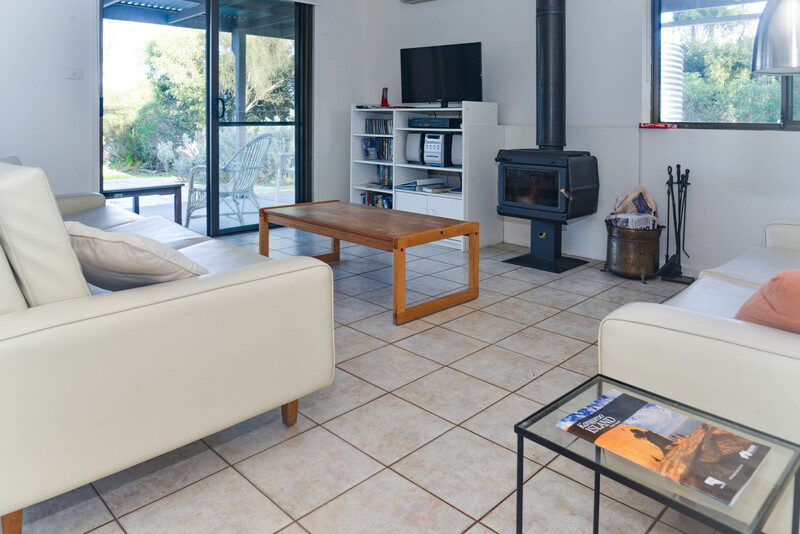 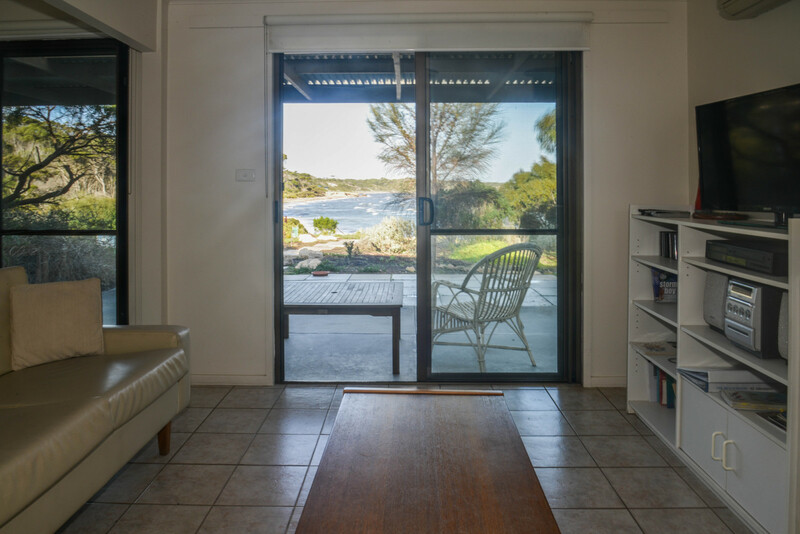 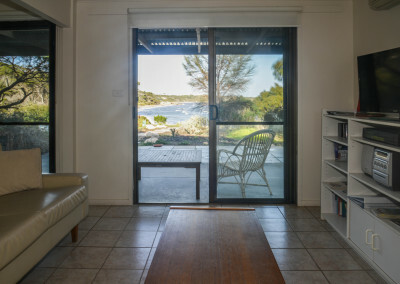 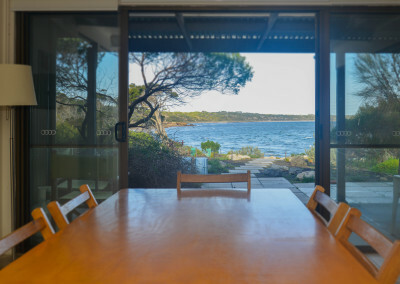 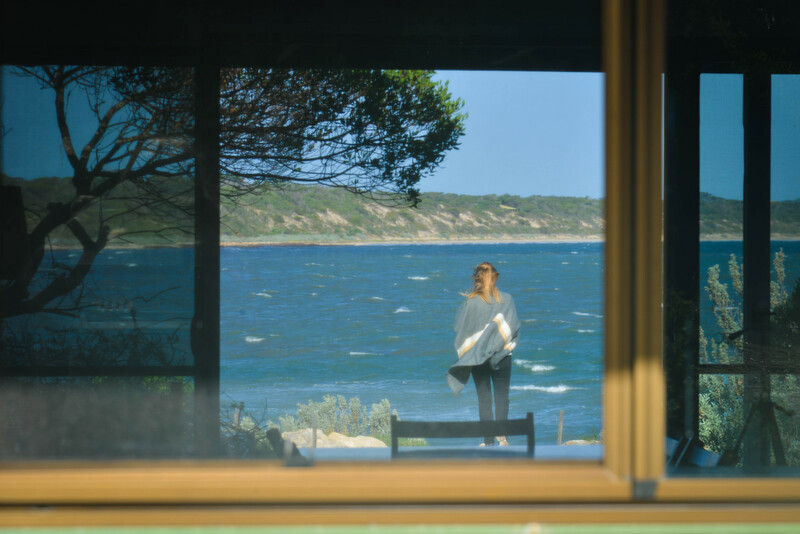 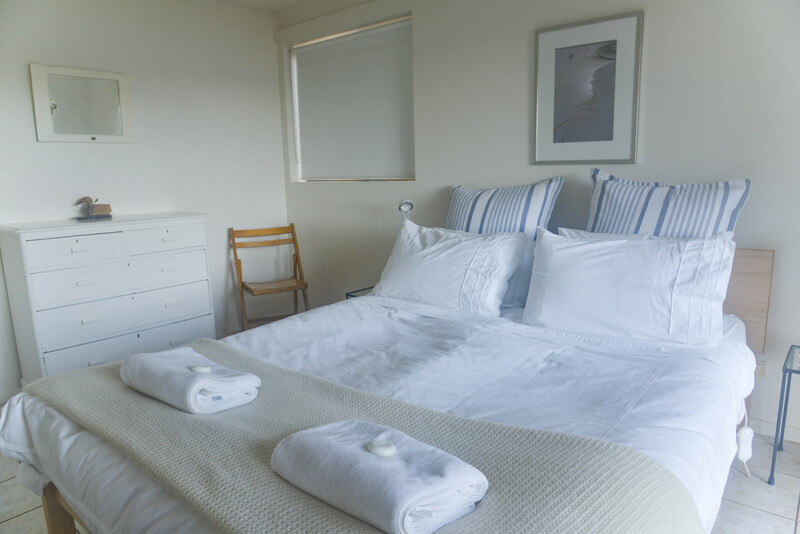 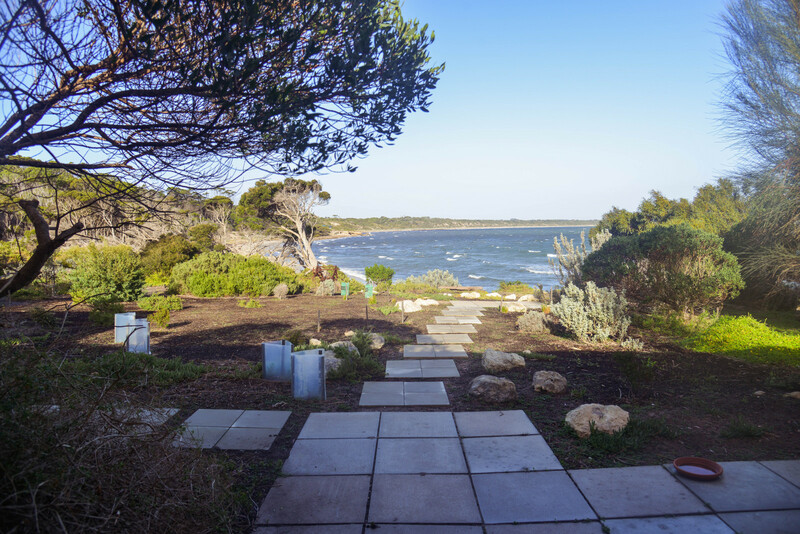 It provides your ideal beach accommodation on Kangaroo Island, where you are 30 steps from the beach, with uninterrupted views to the beach and beyond. 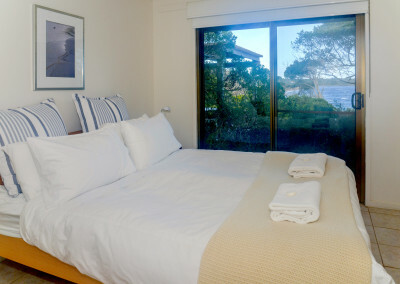 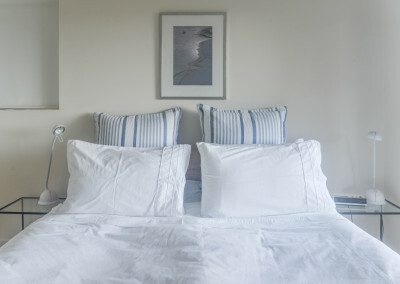 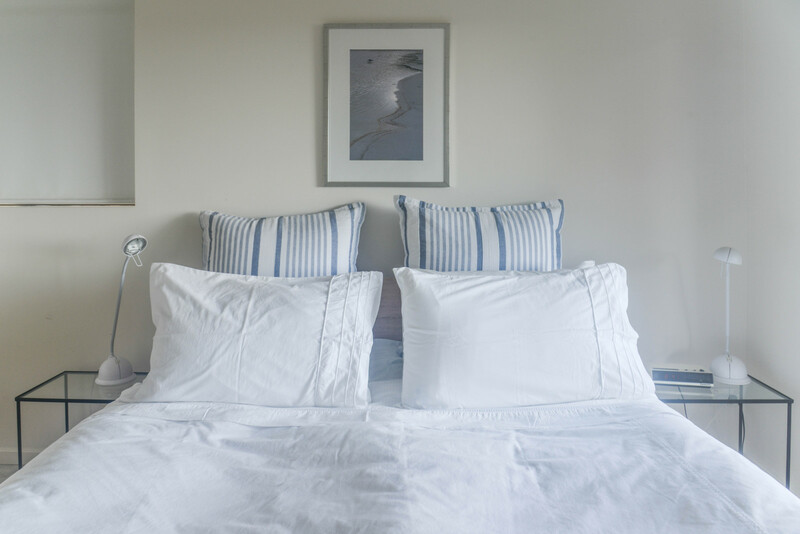 The Beach House embodies simplicity, comfort and a relaxing beachside atmosphere. 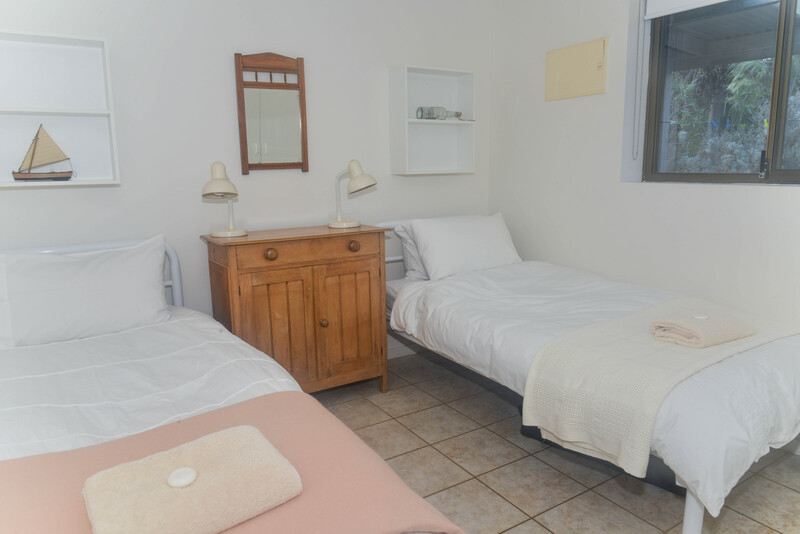 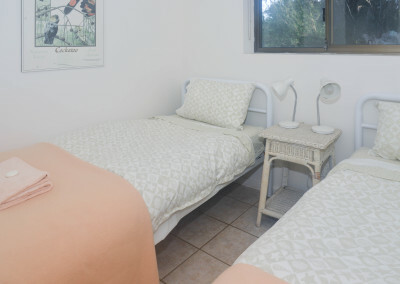 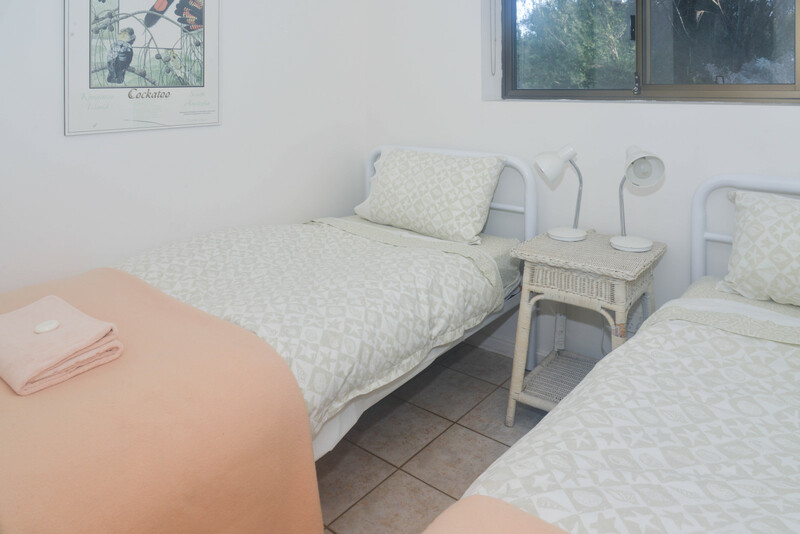 With three bedrooms, it accommodates up to 6 people with a queen sized bed in the master bedroom, and two further bedrooms each with two single beds. 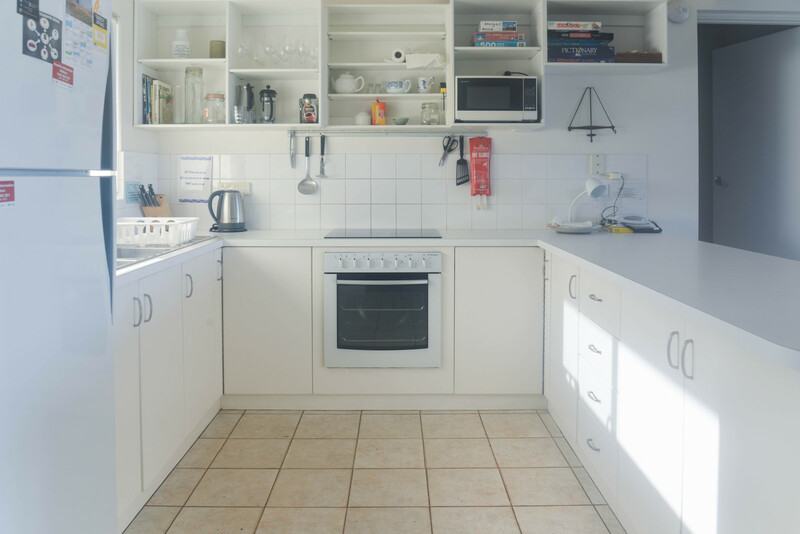 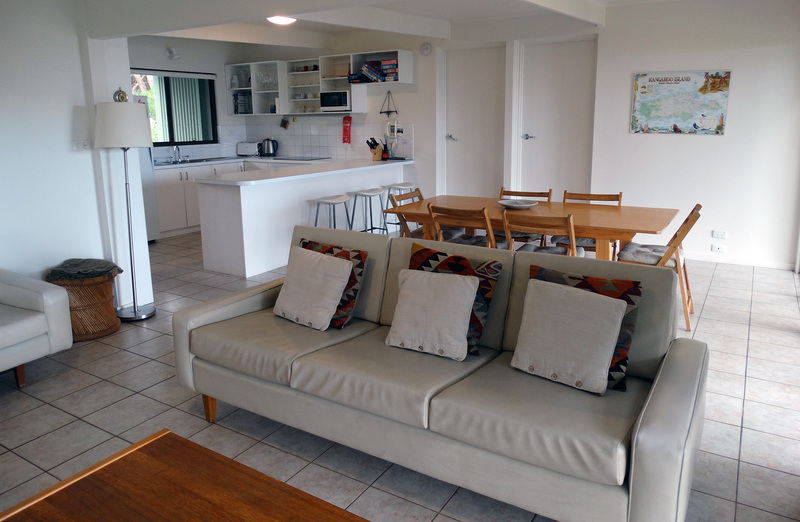 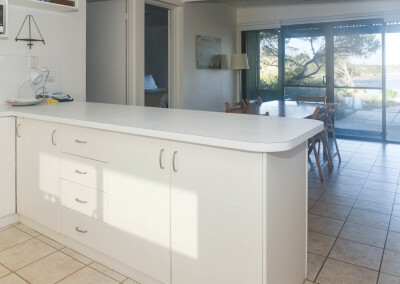 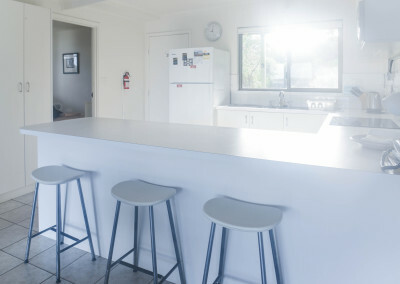 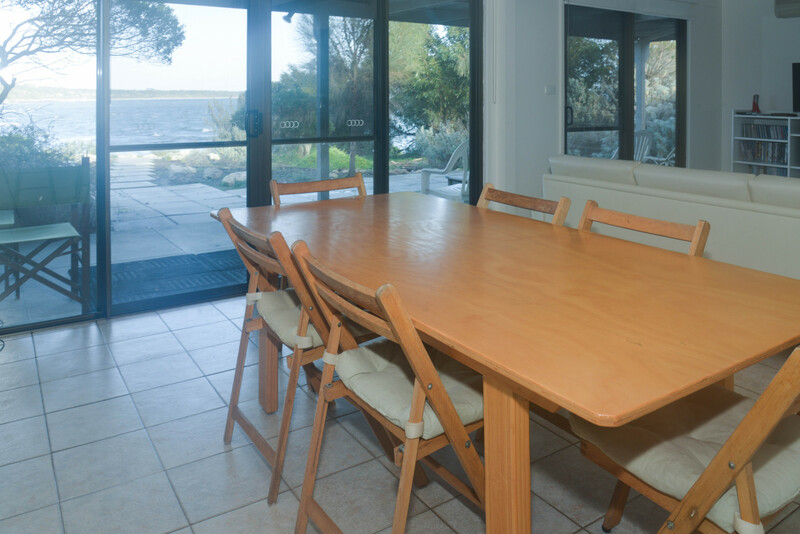 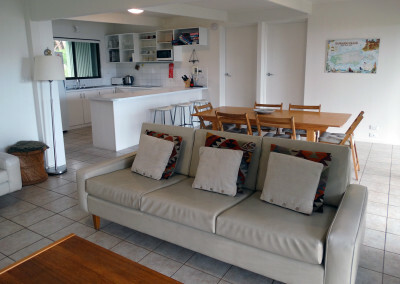 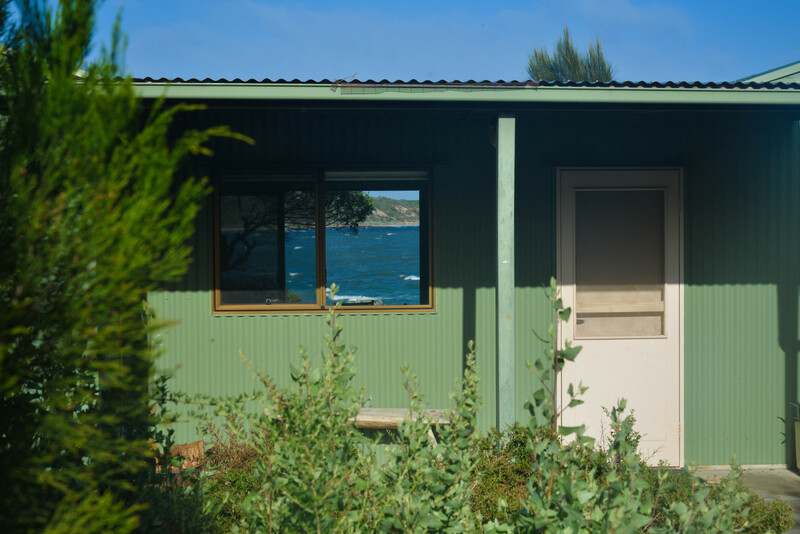 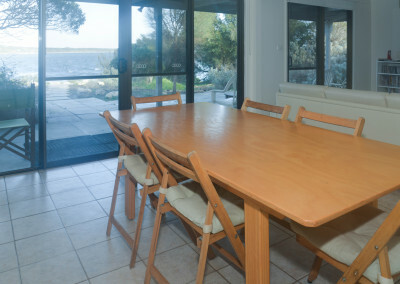 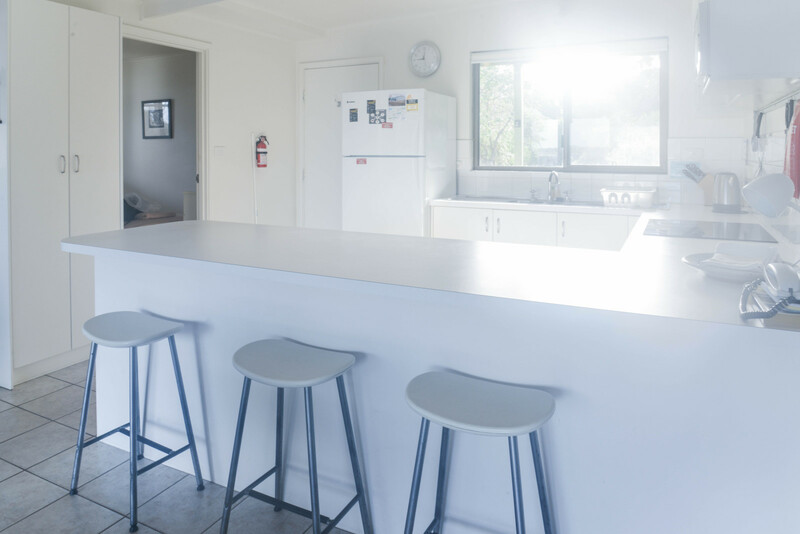 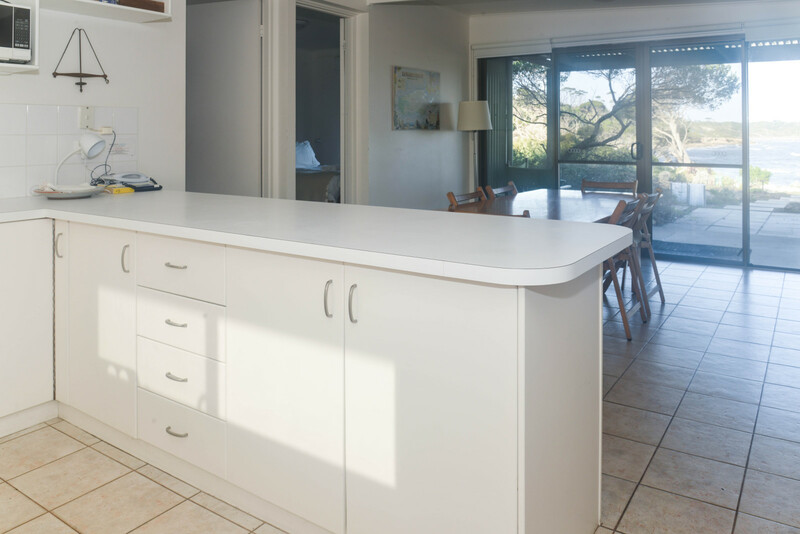 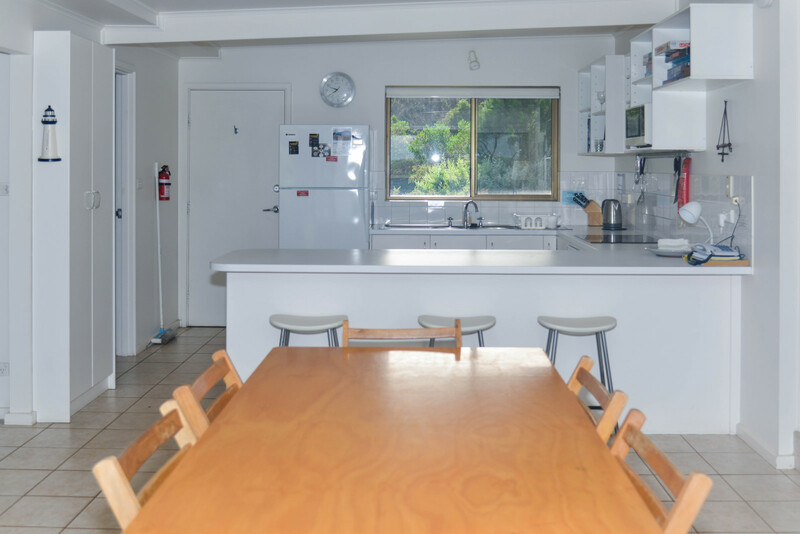 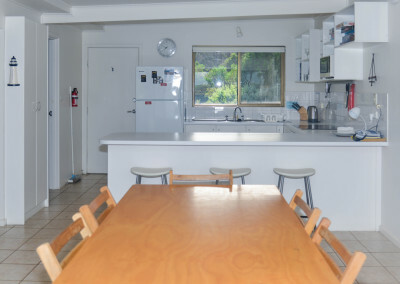 When it comes to dinner, there is a fully equipped kitchen or the BBQ just out the front to cook up your favourite meat (or days catch) as you gaze out over the bay. 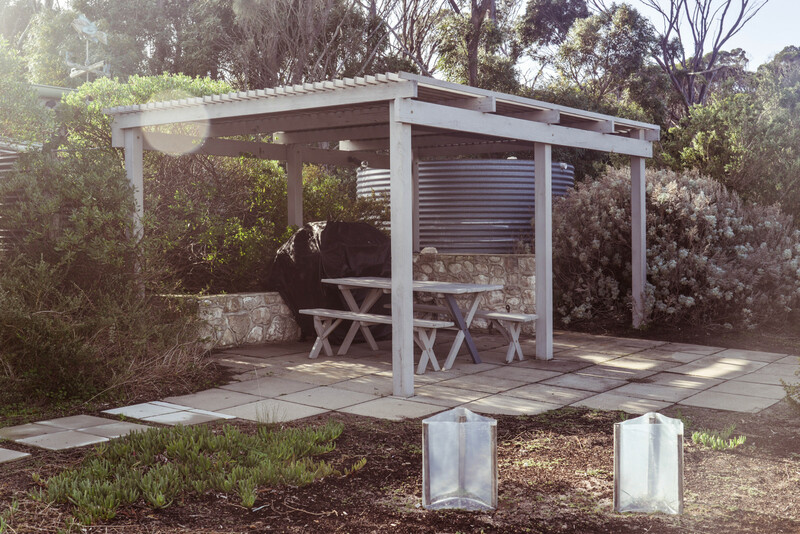 It’s great to sit outside and sip a G&T watching the sunset, and then have your dinner around the outdoor table, swapping stories of your day’s adventures. 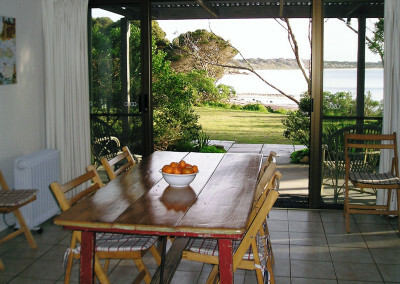 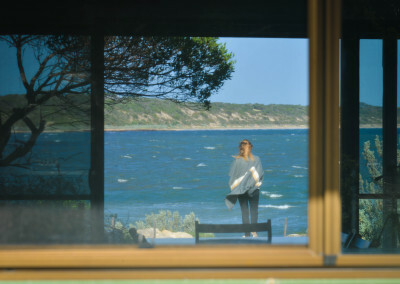 The house is surrounded by native bush and the ocean, offering total peace and tranquility. 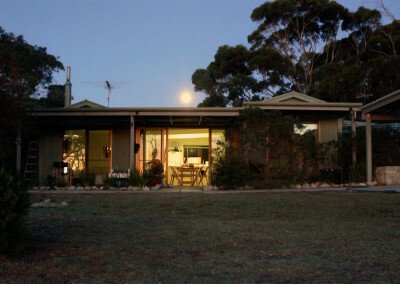 Wildlife will visit and you may even hear the calls of the penguins as the sun goes down. 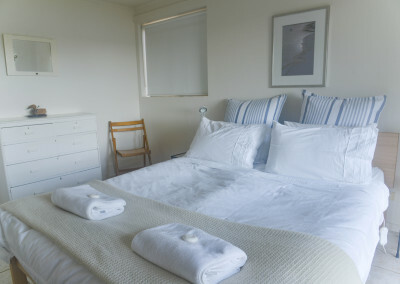 Peace and tranquillity in abundance!